This is still a bit painful to talk about only hours after the fact. But I could really use some sympathy right now. 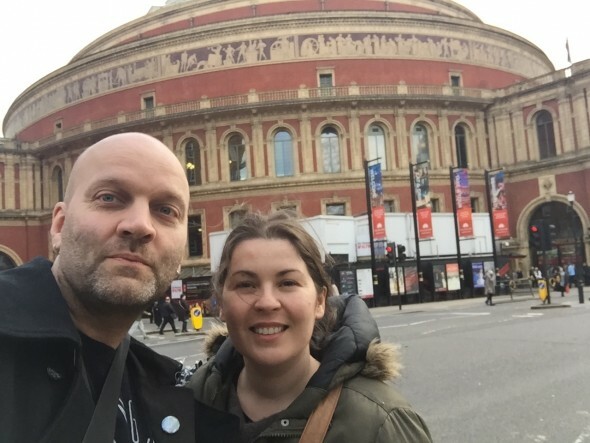 Since my wife and I were in the UK anyway for this event that I talked about in the last blog post I had also signed up for the “one in a million” chance to win super exclusive tickets to Jeff Lynne’s ELO’s ”the day before the world tour premiere” show in front of an extremely small audience in Liverpool. It was so unlikely that we would win so I had kind of forgotten about it. 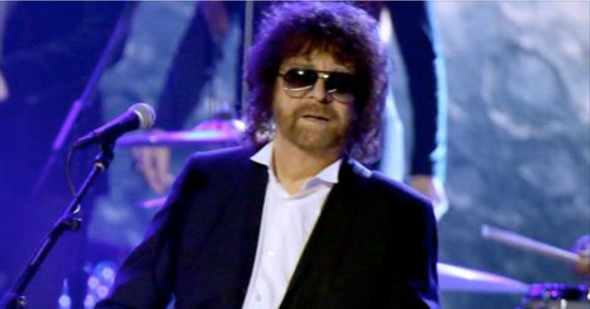 Imagine, then, my incredible excitement when an e-mail came saying “Congratulations – you have been successful in winning a pair of tickets to the exclusive Jeff Lynne’s ELO event today, Monday 4th April. Your name will be on the guest list on the main door.” I was kind of shaking in a way I haven’t since the day I met Paul McCartney when I realized that we could be one of a hundred lucky people watching from only metres away the full production of this first world tour in decades. The tour that we (and 49,999 others) were partly responsible (according to Jeff himself) in making happen through participating in the legendary Hyde Park come back show two years ago (see us singing along with Jeff here). I could go on forever about how Jeff Lynne, his E.L.O., as well as his productions from ”Got My Mind set on You” (George Harrison), ”Free Fallin’”, ”I won’t back down” (Tom Petty), and ”Free as a bird”, ”Real Love” (The Beatles!) among many many others has formed an enormously influential part on my own musicianship since I was a teenager. Now, try to imaging the horror realizing that we should more or less ALREADY have jumped on the train from London to Liverpool in order to have a fighting chance to be in time for the 4 ó clock(!) showtime. Why not 5? Why not 6? Why didn’t I read my e-mail an hour earlier? WHY WASN’T IT SENT OUT A DAY IN ADVANCE? (I saw the e-mail when we had just ordered some sushi a little bit after one). In a moment of despair I called a woman at the PR agency behind the send-out in hope she would say that it would actually start an hour or two later that would make it all possible (or at least that it would still be possible to get in even an hour into the show). Instead, she only confirmed my three biggest fears. That it would start at four. That there would only be 100 people (can it get more exclusive?) in the audience and that any latecomers wouldn’t be able to get in. She could probably hear the increasing pain in my voice and she told me (only to increase the pain even more) that the first e-mail send-out had “bounced back”(wtf!!!???) and that she ”was sorry” about the late notice. 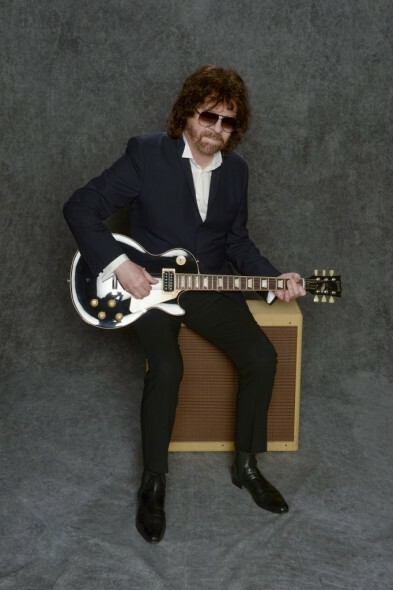 Jeff Lynne is my biggest musical hero after the Beatles (on par with Tom Petty and Jellyfish) and it would obviously have been a memory of a life-time. Did my eyes tear up when realized how close we were? Yes. Had I preferred not being contacted at all considering how it all ended? Yes. Do I hope that ANY MEMBER OF JEFF LYNNE’S TEAM OR MANAGMENT OR BOOKING AGENCY sees this, feel incredibly sorry for me, and decide to contact me in order to compensate us with a VIP experience on an upcoming show on his tour? YES!!! (Worth sending out a prayer anyway…). Thanks everyone for reading and comforting me in these “troubled times” (as I once sang here). You can’t win them all, can you? See you some other time Jeff! Best of luck on the tour! Come to Sweden! Peace and love! When I first saw something on-line about a thing called The Sessions – a live restaging of The Beatles at Abbey Road Studios I thought: “this is geeky beyond normal!”. And If I don’t go there… who will go? As you know from earlier posts about my (lifelong and obsessed) Beatles interest – not least The Day I met Paul McCartney and recording at Abbey Road myself – this seemed like an opportunity not to miss. And where better to see something Beatles related than at (“now they know how many holes it takes to fill the”) Albert Hall? I soon found some incredibly expensive VIP tickets for the (already sold out) world premiere and somehow managed to convince my wife Paula to celebrate her birthday there. (She does love the Beatles, but still…). And so, the day before yesterday, on April Fool’s Day (a day I once sang about here), it happened! My expectations were realistic, not to mention even somewhat pessimistic. I certainly knew it wasn’t going to be like watching the Beatles themselves (or even a solo Beatle) in real life. And having been involved in many Beatles tributes myself, I’m fully aware of many of the challenges in making the illusion (even remotely) believable. But I was pretty soon relieved to see that they had captured the ambience of the inside of the Abbey Road studio really well. The John impersonation on “All You Need is Love” which kicked off the show wasn’t entirely believable though. It had something to do with the pronunciation, and also with the fact that John’s very distinctive voice has always been a tricky one to find sound-alikes for. But when they went back to the beginnings and kicked of a rockin’ “I Saw Her Standing There” it became clear that this was going to be a high-quality performance. Above all the Paul sound-alike offered quite a few “wow” moments. He sometimes sounded more like a twenty-something years old Paul McCartney than Paul McCartney himself does nowadays. 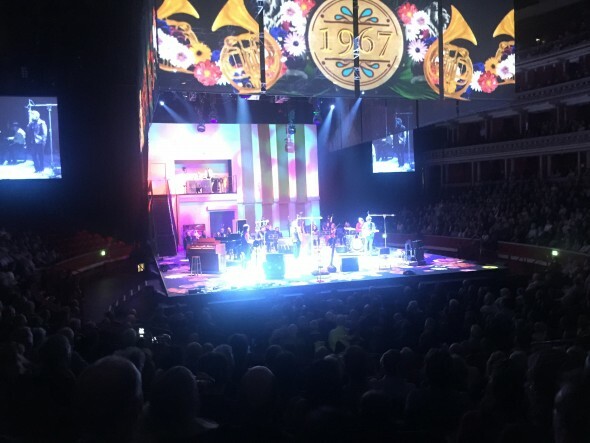 So, songs like “Yesterday”, “Blackbird”, “She’s leaving home”, “Magical Mystery Tour”, and “Helter Skelter” became some of the evening’s finest. But in the end, all performers did a really great job. “George”, for instance, did a beautiful acoustic version of “While My Guitar Gently Weeps”. That was one of the many moments when I just leaned back, “enjoying the show”, thinking about how much The Beatles mean to me and how big part they’ve played in my life. Which of course is nothing new. I’ve even come across on Swedish radio talking about how The Beatles are my religion. So, to sum it up, the show was highly entertaining and if you’re a Beatles geek, make sure NOT to miss any of the upcoming shows on their tour. It was extremely well-done and accurate in detail. The George Martin character was spot-on (almost as good as this one). It was so good that I have no problem in disregarding the fact that they had gotten the order wrong in the solos of The End, which (as we all know, right?) should be Paul, George, John and not George, Paul, John. Anyway, just to be anonymous (although fake “VIP” through paying a ridiculous amount of money) and be a “regular” guest doesn’t really suit me. Having met the great Sir George Martin, and performed for Cynthia Lennon, taken selfies with James McCartney, Olivia Harrison (after a McCartney show in London in 2009), and with engineer Ken Scott in Abbey Road Studios (in conjunction with a lecture by the writers behind the incredible Recording the Beatles), it only felt natural and almost strangely “logical” that I would bump into the show’s supervisor Geoff Emerick himself in the corridors of Albert Hall. The sound engineer on Revolver (the best record ever made!) among many many others. A very important person in developing the sound of the Beatles. As concert producer and promoter Stig Edgren says: “Geoff is instrumental to the aspect of authenticity because nothing that you see or hear in the show is fabricated. We’re not fictionalising what it was like in the studio. For every song we have a schematic drawing on where the members of the Beatles were, where the vocal booths were, where the instruments were.”. 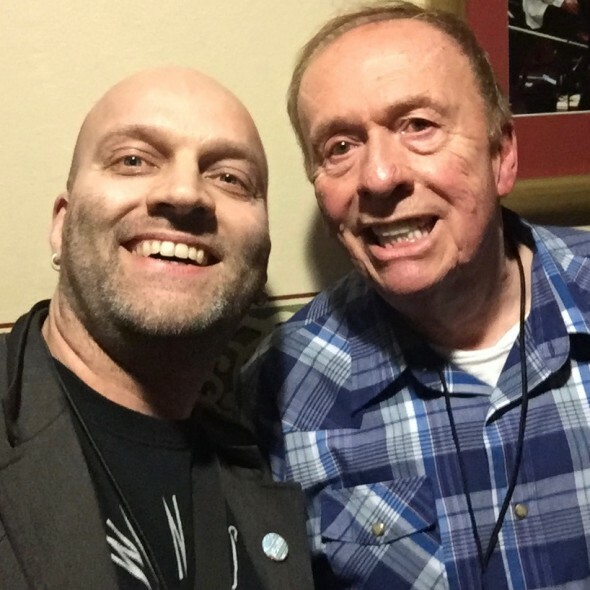 So, as you can understand, Geoff Emerick is THE GUY. I can certainly recommend his book Here There and Everywhere: My Life Recording the Music of the Beatles. It’s an amazingly entertaing book who brings you inside the studio with the Beatles in a way that no other book that I can remember does. It doesn’t deal with family histories, groupies, business, tours, drugs, and all that other (also interesting) stuff. It focuses on the recording of the music in a unique way. And I don’t think you have to be a musician to enjoy it. When I spotted Geoff, of course I asked (kindly, I hope) for the possibility of a selfie together with him. He was very nice, and willingly accepted to pose in a picture. I presented myself as a “musician from Sweden” (which is true, right?) and I handed him my flyer for my debut album Soundshine. He looked at it and jokingly said “–I will frame this!”. So I’m hoping that beside his multi-platinum discs for Revolver, Sgt Pepper, and Abbey Road he will now have on his living room wall, framed, the flyer of the Paul McCartney of Piteå, David Myhr. All in all, a Friday evening in my taste!! !